Allied Workspace Completes Installation of Fire Rated Atrium Glazing at New Research Facility. The new Wellcome-Wolfson Institute for Experimental Medicine, next to the Centre for Cancer Research and Cell Biology (CCRCB), is an interdisciplinary research facility. 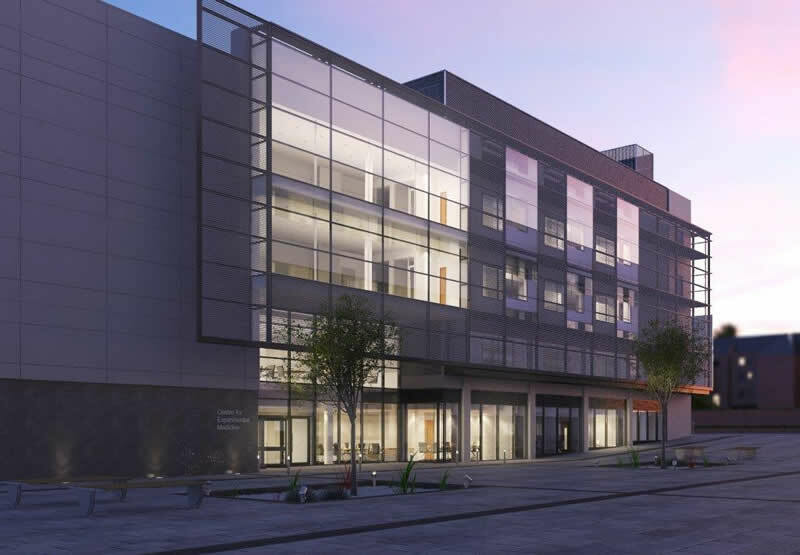 It is the latest phase in the configuration of the School of Medicine, Dentistry and Biomedical Sciences at Queen’s University Belfast and is designed to enhance its internationally recognised excellence in education and research. The Institute has an internal area of 9,000m², providing accommodation for some 330 members of staff specialising in research into finding cures for eye disease and diabetes, and the development of a global programme to aid understanding of the genetics of complex chronic diseases. A key design feature of the building is the use of a twin skin exterior envelope. The creation of an external cavity improves the thermal performance of the building and allows service ducts to be located in the void. The removal of bulky services from the internal space creates an inward looking style of building with an open floor plate. The full-height central feature atrium, for which Allied Workspace supplied and installed atrium windows with a 60/60 fire performance rating, is a focal point of the building and is designed for meetings, displays and conferences. The building is set to achieve an environmental BREEAM rating of Excellent, as it incorporates a range of measures which will lower carbon emissions and deliver a more sustainable building.